I have a hard time rooting for leading characters on TV – not because I have a natural disdain for those billed as "stars," but because I find myself drawn more often than not to the people deemed "sidekicks." Perhaps it's that label – "sidekick" – that's always spoken to me because it's how people of color are often seen when it comes to the big and small screen, and my brain always pushes me to see those characters the clearest: the comic relief, the best friend, the work confidante... those aren't just "supporting" characters; they're real people too, and their stories are often the ones I crave to see more of: Christina Yang, Pacey Witter, Shawn Hunter, Lane Kim, Randall Pearson (arguably, Randall is the true heart of This Is Us, but you know the series began with Jack and Rebecca in mind as the anchors). But in Midge Maisel, Amy Sherman-Palladino has created a radiant lead character – a woman who's smart, sharp, funny...and deeply flawed. She's a character you want to root for despite the moments that'll make you want to shout at her because her missteps are never at the expense of others. Her outbursts, her stumbles, her mistake in paying the "Stage Deli bottom-feeder" for material were always in pursuit of something bigger than her dream of being on stage: it was in pursuit of paving a path for herself that had nothing to do with being the "perfect" wife, a "good daughter," or a stay-at-home mom. And while Midge is all of those things, and she admits she enjoys it and does miss being married, she eventually pursues her passions because she believes she can "have it all" without compromising who she is. She doesn't need to be the kind of person who paints a false exterior in order to maintain the image society has come to expect of her – not about her divorce, not about her comedy. For Midge, she earnestly believes she belongs on the stage just as she is. 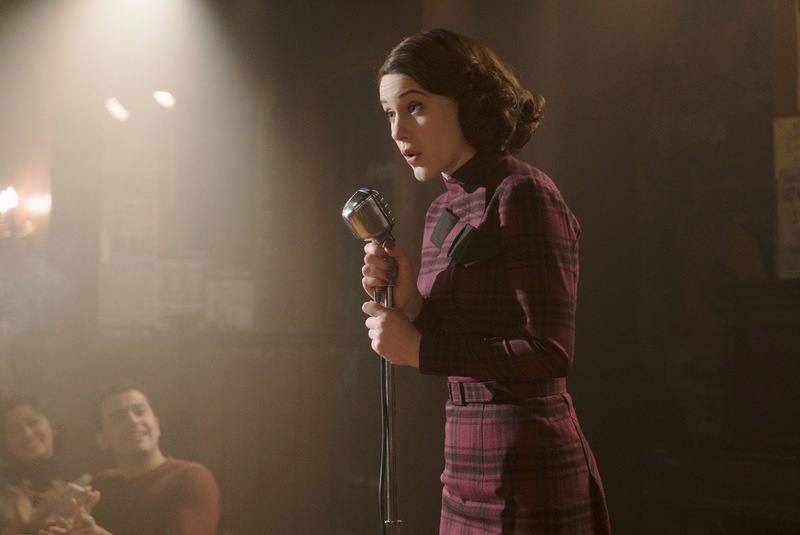 In The Marvelous Mrs. Maisel, we're transported to a period of time that feels familiar in 2018: being a woman and a stand-up comic was an over-the-top ambition back then, and no one can understand why Midge and her pretty features wouldn't want to do something on stage like sing. "Women aren't funny" is the primary obstacle facing Midge (and, in many ways, it feels like we haven't progressed beyond that thought as a society) and watching her push back is just so satisfying. Also satisfying: Alex Borstein's Susie Myerson, a character that doesn't need to be likable for you to root for Midge, yet there she is: crass, straightforward, brilliant. This is a friendship you want to support and encourage – two people who've never quite fit the mold of what was expected of them – and thank god it wasn't created the way female friendships are often forged on TV (because of, and usually in spite of, a boy). If you're familiar with Amy Sherman-Palladino's work, then it's no surprise her characters all speak with speed and the same sharp wit that sometimes makes you wonder if you and your friends are speaking a different language entirely. The Marvelous Mrs. Maisel is no exception, but something about this series as opposed to Gilmore Girls feels more deliberate, like she's taking her time for viewers to understand this world. It helps, I think, that the setting is void of cell phones and computers and cable TV, so there's need to worry about how technology could've solved the issues and misunderstandings the characters face. If this wasn't enough to convince you to watch it (if you haven't yet), then come talk to me: there's another season coming (and let's hope for more), so anything can happen as Midge explores her many identities and dreams – and you'll want to be right there with her as she does it.